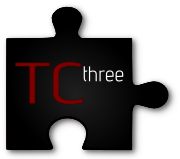 Trade Customs Compliance Consultancy - TCthree - is a specialised consultancy with unique expert knowledge of trade, customs and compliance issues. Our team of consultants include individuals considered to be among the most respected and knowledgeable in the industry. We have particular expertise in representing clients in anti-dumping, anti-subsidy and safeguard investigations initiated by the European Commission. Our aim is to provide a full-service package ensuring our clients can minimise any customs duties and other indirect tax liabilities whilst at the same time ensuring full compliance with import regulations. We also advise on the full range of issues faced by companies wishing to trade in the European Union. We are all about delivering personalised solutions. Let us introduce the key people in our team, and outline their knowledge and experience. We pride ourselves on offering a bespoke service tailored to your needs. Click on the link to see detailed information on how we might assist you. We constantly monitor the latest developments in the trade, customs and compliance fields. To see the latest information, follow the link below.